Travelling somewhere both for the sake of doing your business or just enjoying time exploring the beauty of the cities you pass, will be more special because of the car that you are driving. The most pleasant thing about it is when you can make others amazed at your car like when you are driving a luxurious car, which is dreamt by everyone. To say the truth, it is not impossible to happen. Now, everything can be so easy and simple. Of course everything can be true without making you in a big debt because of spending much money for buying such a luxurious car like Lamborghini or Ferrari. It is all because of the help that miami luxury car rental can give. This rental is not a common car rental with common cars. On the other hand, it only offers luxurious cars to rent. 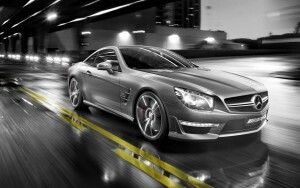 There are many choices to select such as Porsche and Mercedez-Benz. Some different types are also provided just to make sure that you will get the car that you like most. It can be even difficult for you to decide which car to rent because all of the cars are in a good condition so that they can give the most satisfying performance on the road. Just look at the photos of the cars to see which one is the most interesting car for you. If it does not help you to decide, you can check the detail specification of each car. This can help you match the cars’ specification with your preference and needs. Even if you have a strict budget policy to obey, you can compare the cost required for taking the cars on the road. Finally, you can get the joy of driving such a luxurious car without having problem with your budget policy.